At the heart of Cedar Crest Cottages is a local family who is passionate about design, details, life experiences, customer service and above all, Lake Tahoe. Cedar Crest Cottages is their way of sharing these passions with you. Read on to find out more about The Family Olson and our team here at Cedar Crest Cottages. Ryan, Blythe, Espen, Ilsa, Nils, Robb, Molly M. Molly J. (Mom), Bruce (Dad),Marissa, Dan, Klay, and Kiki. Bruce and Molly have 4 daughters: Molly, Marissa, Kiki and Blythe. Molly and Robb have 3 children: Espen, Ilsa and Nils. The onsite Hosts welcome guests to Cedar Crest Cottages with thoughtful service and knowledgeable expertise. Hosts are available to assist guests everyday: Monday-Wednesday from 8:00 am - 5 pm and Thursday-Sunday from 8:00 am - 8 pm. The Hosts are also available after hours for emergencies only. Blythe is a native of Lake Tahoe and is the youngest of the Olson clan. Having been born in Truckee and raised in Tahoe City, she believes that life in Tahoe is unlike anything else in the world. Each day she wakes up with a thankful heart that she lives in such a beautiful place. Blythe graduated with honors from Robert Louis Stevenson School in 2005 and went on to attend Santa Clara University where she studied business management. While studying at SCU, Blythe also pursued her love for the kitchen, taking night classes at the Professional Culinary Institute. She graduated from both SCU and PCI in 2009. Her degrees in both business management and culinary arts were fueled by her dream to one day run a Bed and Breakfast, which is why she could not be happier to be working with her family at Cedar Crest Cottages. As our resident host, Blythe is here to ensure each guest has the best experience possible and you will always find her with a smile on her face. Marissa was born and raised in Tahoe City, California as the second born in the Olson clan. After graduating from Robert Louis Stevenson School in 2002, Marissa attended Hawaii Pacific University where she discovered her passion for the retail/customer service business. She then made it her mission to be an entrepreneur, just like her father. In 2010, Marissa made her dreams come true and opened a women’s clothing boutique in San Francisco. She ran a successful business for 5 years until she made the decision to leave the business and move on to become the manager at Cedar Crest Cottages in 2015. Marissa, her husband (Dan), and their little baby (Klay) live in San Rafael, California where she helps run the business. She brings with her years of experience in the customer service field and is excited to be a part of the family team here at Cedar Crest Cottages. She frequently comes to Tahoe for work, to visit her family and to enjoy all that Tahoe has to offer. Bruce has been a local resident of Lake Tahoe since the late 1960's. Originally from Saratoga, California, Bruce spent most of his winters and summers as a child playing in Lake Tahoe. 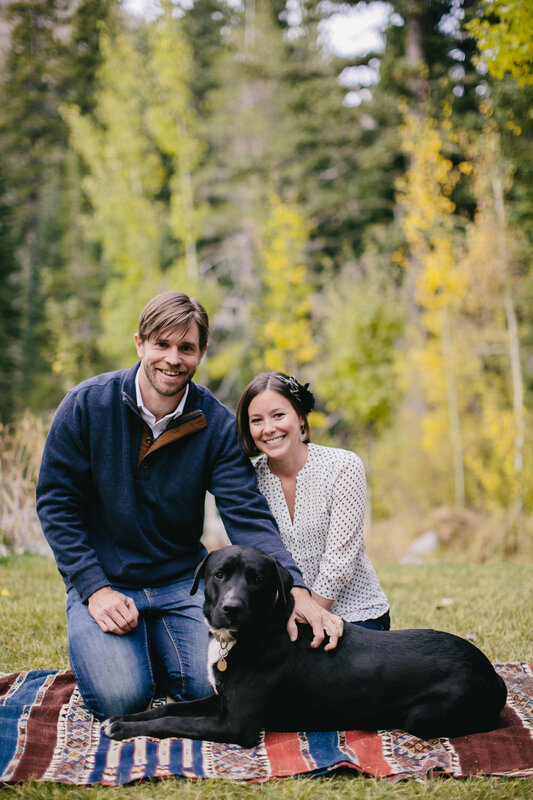 Bruce and his wife, Molly, arrived to Tahoe in their early 20's, where they worked at Sugar Bowl Ski Resort; he as a ski-patrol man and she as everyone's favorite waitress and office coordinator. After many wonderful years at Sugar Bowl, Bruce and Molly moved to Alpine Meadows where he formed Bruce Olson Construction in 1974. From that moment on, he devoted himself to being the best in the business and separating himself from others; not only with his quality of construction and customer service, but with design and aesthetic as well. Bruce purchased the Cedar Crest Cottages property back in 2010 and had a very clear vision of what this historic land would be: Tahoe's premier vacation cottages. You will find the same attention to detail, personal touches and immaculate construction at Cedar Crest Cottages that you would find on any of Bruce's other projects and that is what makes this place so special. When you stay with us, you truly are getting a piece of this family's heart. Founders of Olson-Olson Ena, Molly Olson and Robb Olson first met at the University of Southern California's school of Architecture as a coincidence of their shared last name. Molly’s ancestry hailed from builders in Northern Sweden while Robb’s hailed from engineers in Southern Sweden. Sharing an exacting passion for Architecture, art, family, knowledge, efficiency, quality, and problem solving they became inseparable both personally and professionally. It is through this collective spirit that the couple has been continually inspired to offer more. Olson-Olson Architects was formed by the couple after earning licenses as Architects. From its inception, the collaborative studio was structured to offer planning, architecture and interior design services. Olson-Olson Home was formed to represent architectural hardware and other curated goods to streamline project delivery. Olson-Olson Ena combines their many years of cultivating their expertise into the Tahoe region's only unified realty, planning, architecture, construction, interiors, and art gallery.